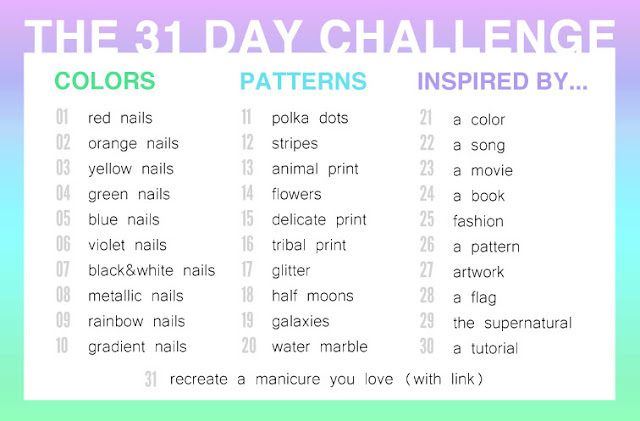 Love Varnish: 31 Day Nail Art Challenge - Black and White Nails! Hi loves! Today I have a splatter manicure to show you - I tried this properly the first time this weekend and you might have seen some result already on Instagram. Well, I am slightly obsessed now so decided to use it for today's manicure too! 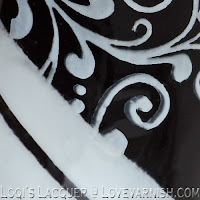 I used 2 polishes from The New Black Rebel Edge, a white frosty polish (it shows pretty silvery here - it truly is a white!) 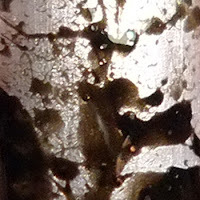 as my base and a black with glitter (glitter doesn't really show) for the splatter. The white applied quite nice for the color, I am guessing it is the frost finish that makes it easier. The black wasn't super opaque in my splatter but not sheer either. I finished by using a few round studs from the Rebel Edge set to add some extra interest to the nails. Hope you like them! I loooooove the combination of black and white. 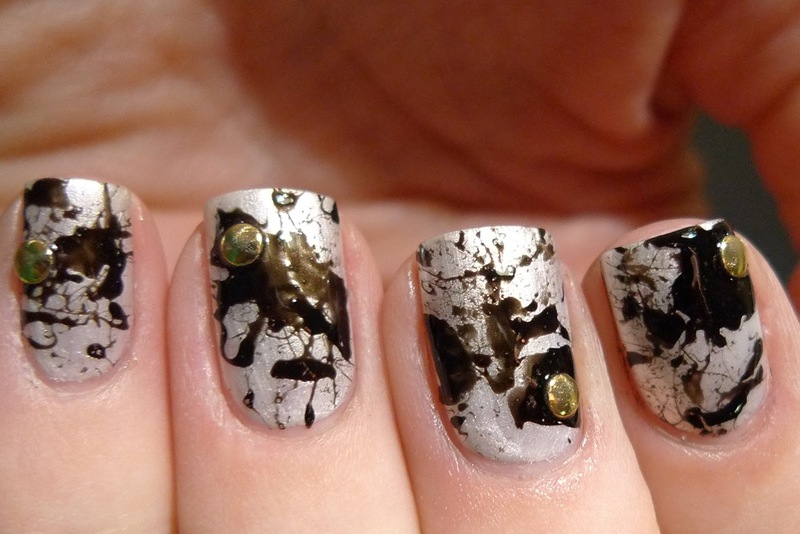 Not just on nails, but in clothes and every day designs and items as well. It's classy and elegant but it can be very edgy too. Which is exactly what I wanted to go for with my black and white nailart: classy, elegant, crisp, yet edgy and a bit frivolous. So to achieve this I painted my nails black and white with OPI - Alpine snow and Wet 'n wild - black crème, and using scotch- and striping tape, made lines with the alternating colour. When that was done and dry I used the curly design from bm314 to stamp the top part of my nails. Sadly not all the lines and curls are as crisp as they could be (macro shots are so unforgiving! ), but I really like how the final manicure turned out! I love them both, they're gorgeous! I love the contrasts of these manis!!!! Deborah, yours is so funky and fun. Loqi yours is dainty and girly. Awesome job ladies!!!! I've tried a splatter mani once but I just couldn't get it right. It looked awful, but from seeing your pictures I realize that I have to give it another try. This looks great! Yes they are very different, I was pleasantly surprised to. We don't really discuss what either of us is going to do for the challenge so it always is a surprise :D.
You should Elin, I think a little practice really helps. Thank you! Thanks for your honest comment Tamara :). 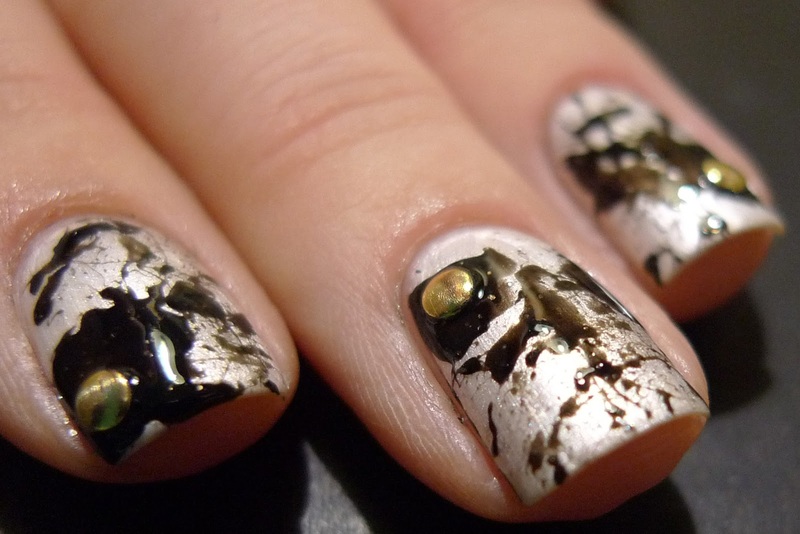 Haha yeah kinda looks like it :D.
Your splatter mani reminds me of spread coffe :D I love it! Oooh yeah kinda looks like it :D/ Thanks ♥. And she didn't a great job didn't see? Even with the macro thing going on I can barely see any flaws..
Ahw <3 Thanks both of you!